Have last year’s Christmas lights been sapped dry of their holiday cheer? Don’t send them on their merry way to the landfill just yet. The perfect size for hanging from your ears or neck, these tiny lights can still shine with the addition of jewelry findings and some creative flair. Here, we show you how you can create your own holiday-themed accessories—for next to nothing—simply by seeing damaged goods in a whole new light. 1. Remove lights from Christmas strand. Take your tack and poke a hole through the plastic end part of the light. 2. Thread a jump ring through the hole. 3. Thread the French hook through the jump ring and close up with a pair of pliers. Repeat for the other earring. 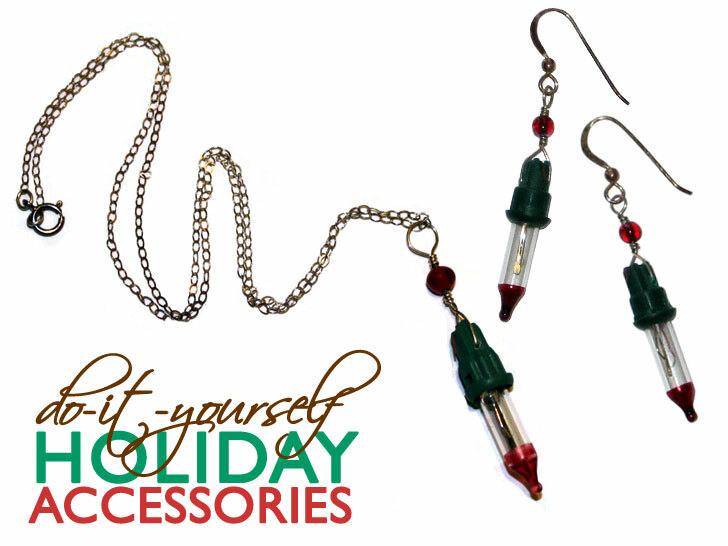 Then, dress up your ears with their shiny new holiday gear! Optional: Instead of using a jump ring, string wire through the hole and twist the two ends together. Thread both ends through a colorful bead. Loop the ends of the wire onto a French hook and you’ve made your own earrings. 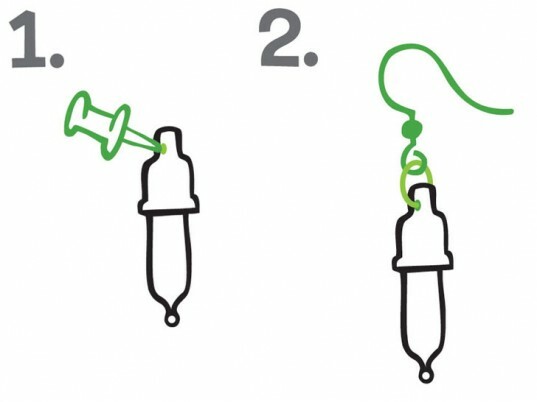 Follow steps 1 and 2 for earrings. Then string a necklace through the jump ring. 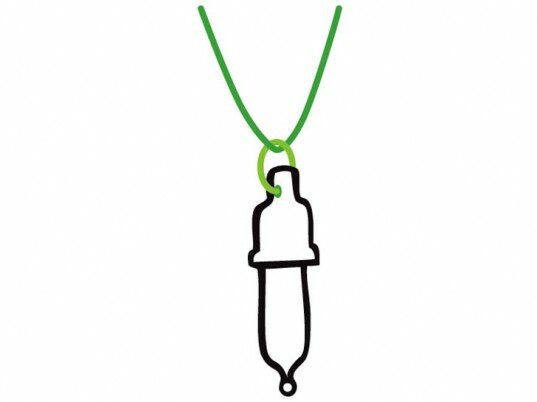 String it around your neck and you’ll be wearing a necklace that really shines. Here’s a bright idea: Transform a whole strand of lights into great gifts for all of the lovely ladies this year. Making projects like this yourself will make it easy on your holiday budget and will help you show off your upcycling style.